I just had to show some love to these two Belgium dudes Aral & Sauzé they just release their new single "Nous Allons Mieux" (if I'm not too rusty on my French I think that means "We Are Better" don't quote me on that...lol) featuring Dj Revolution. After their last video with Chip Fu in May 2012, they made a serious comeback with this new track also produced by Statik Selektah as the first single from their next album coming up in 2013. 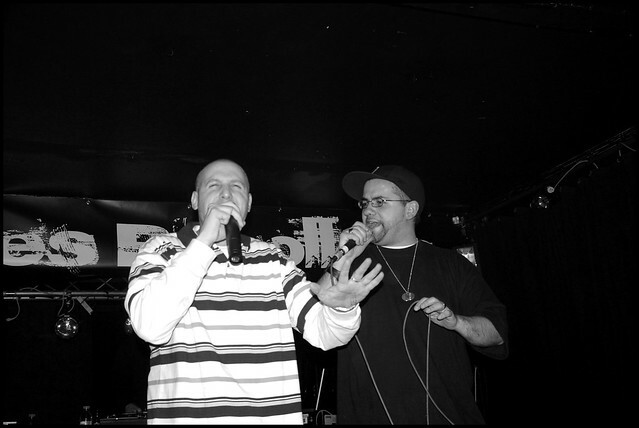 They pratically had a whole roster of US Emcees & Producers this time around like Buckwild, Moss, Marco Polo, Statik Selektah (between other) and featuring Az, Royce da 5'9", Dwele, Chip Fu, Evidence (of dilated peoples), Dj Babu, & DJ Revolution. Even thought I couldn't understand not a lick of what they are saying it sounded like it was on point. HipHop is so universal these days and to have the talent to produce Emcees who speak another language is truly a gift. Checkout the video below for yourself and let me know what ya'll think. Thanks a lot for sharing and talking about us on your website, we appreciate.